It was 1947. 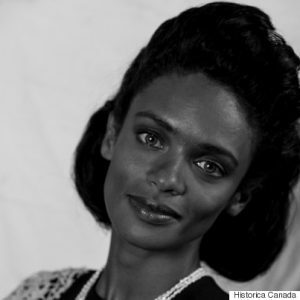 While the government of Canada was helping to draft the Universal Declaration of Human Rights, a woman named Viola Desmond (née Davis) was in a legal battle with the province of Nova Scotia. She was seeking justice after being thrown out of a movie theatre near Halifax while she was watching “The Dark Mirror,” a film starring Olivia De Havilland. Her crime? Sitting in a section of the movie theatre reserved for white Canadians. Viola Desmond lost her case in court. In 2015, actress Viola Davis became the first African-American woman to win an Emmy in a dramatic role in the 66-year history of the award. She used her acceptance speech to call out Hollywood, shining a spotlight on the vast chasm that is a lack of opportunity for women of colour in the industry. 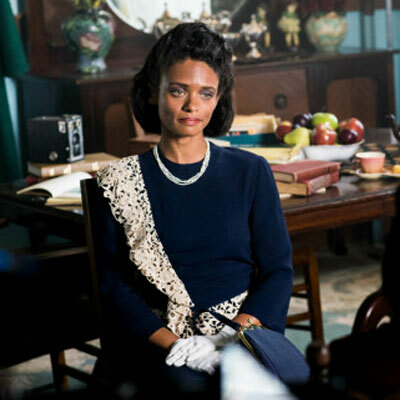 By way of a phone call from another woman of colour (a dear friend and actress herself), I was given the opportunity to tell the story of Viola Desmond in a new Historica Canada Heritage Minute released to mark Black History Month. There’s something profoundly poetic about the intersection of the lives of these two Violas with my own. As an actress in Hollywood, I know a little of the uphill battle that Viola Davis faced to reach that pinnacle of achievement on the night she won the Emmy. 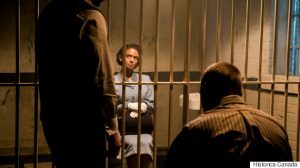 Born into South African apartheid, I also know what it’s like to be treated as a lesser human, just as Viola Desmond was that day in the movie theatre. South African apartheid was at least honest. Blatant. Legal. You knew where the lines were drawn, knew the ins and outs of how you could expect to be treated, that the rules of the game were squarely stacked against you. But the racism in North America is covert, the rules not always clear. North American racism blindsides you when you’ve been lulled into believing in what Malcolm X called “being a diner.” You can sit in a restaurant, but you’re a diner only if you’re eating what’s on the menu. “You’re mulatto, right?” (which means “mongrel” or “much milk”). Or they just mistake me for a server: “Oh, I’m sorry, I thought you worked here!” It’s polite in its way — but more insidious. But where this dance with racism is even more obvious is on the casting breakdown sheet. Even though I can accept that there is a need for structure and categorization in the business of casting film and television projects, what I can’t accept is the sheer failure to imagine what else could be possible. After all, aren’t we the magic makers, the storytellers? What if we imagined character traits instead of physical attributes? Stories instead of skin colour? Why can’t the diversity on our streets be reflected on our silver screens? At the start of my career, I was lucky enough to connect with an agent and casting directors who thought outside the box as a matter of course. Thank you, Richard Lucas and Lynne Carrow for taking a chance on me. Like Sandra Bullock’s role in “Our Brand Is Crisis,” my first part was written for a man. I played Brady alongside Lou Diamond Phillips in “In a Class of his Own.” I also reprised Amy Irving’s role in the 2002 remake of “Carrie,” and played the shrewish Vicky in “Children of the Corn.” All these roles were originally cast for actors that didn’t look like me. But these are rare successes. More often than not, when my agents ask if a character could be a black woman, they are told that the writers/producers had a different (read: default) vision. Like Viola Davis’ Emmy win, the recent #OscarsSoWhite controversy and Oscars boycott has drawn attention to the need for a change in the way Hollywood does business. A-list celebrities like Jada Pinkett-Smith and Spike Lee are calling for the television and film industry to open itself to other visions. It’s the only way we’ll get stories that reflect the reality of Hollywood’s audiences. 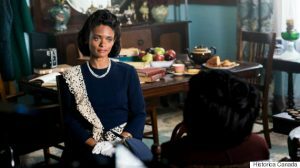 As I’ve grown in this industry over the past 18 years, I have seen the landscape change and now it feels like my involvement in the story of Viola Desmond is both serendipitous and synchronous. Even before she became a symbol of Nova Scotia’s civil rights movement, Viola Desmond was a remarkable woman. She was a savvy entrepreneur who created a line of beauty products for black women. She was a mentor to them too, opening a beauty school to provide training and opportunity. After the movie theatre incident, she continued her fight for justice despite threats to her livelihood for doing so. I am honoured to give voice to a woman whose only crime, was the expectation of being treated not as black or as a woman, but as a human being. One who just wanted to see a movie.